在 leJOS 0.8.5 的年代, Eclipse plugin是不能用的. 到了 leJOS 0.9 發布之後, 才又能在 Eclipse 中來編寫 leJOS 的NXT or PC專案. 不然只能用txt 或是例如 PsPad 或是 Notepad++ 這種泛用型編輯程式. 有點不方便呢! 3. 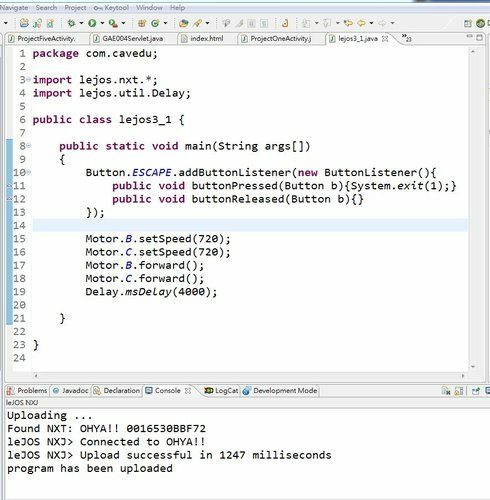 在Eclipse中安裝 leJOS Eclipse plugin. This entry was posted in Android, leJOS / Java and tagged lejos.